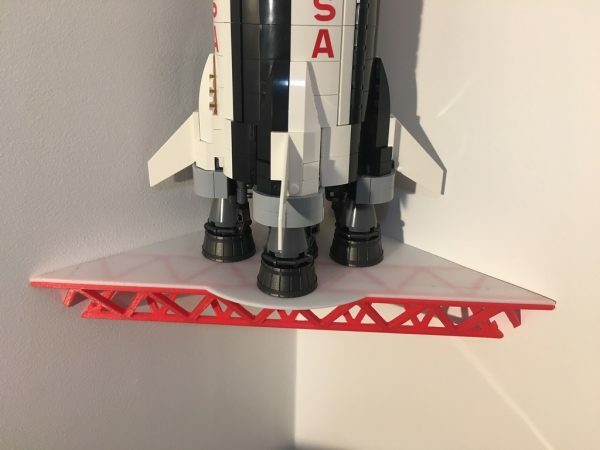 Lego Saturn V – Truss Corner Shelf #3DThursday #3DPrinting « Adafruit Industries – Makers, hackers, artists, designers and engineers! I printed this with the flat surface downward. I inserted the octoprint pause command (M0) between layer 7 and 8 which allowed me to change the fillament to red for the truss layers.